Our featured image is of Arnel Navales Aba where he is competing at the Cobra 70.3 (half Ironman) event in 2012. No need for explanation here as this picture says it all. Inspirational. These guys are my heroes. Not just because of Willy Yao (though he rocks), but because of the time when I needed help they were there. One morning whilst biking at Nuvali I had a life threatening head-on accident with a motor-cycle and Sherwin Yao and fellow teammates showed me a level of care and concern that touched my heart and that I still recall vividly to this day. Often little things go unnoticed. This Ironman is a true champion. At a Tri-United race in 2013 he noticed that a teammate had a flat tyre so he gladly swapped his wheel so his mate finished and ignored the fact that he would be a did-not-finish. Anton is also the reason I had a good swim at Melbourne Ironman because he lent me his wetsuit. Anton is also giving back to the sport of triathlon by directing races. Of course, it is hard not to be a champion with a beautiful wife like Rizzo! They were both part of the winning Fitness First tri-team at Tri-United 2, 2014. 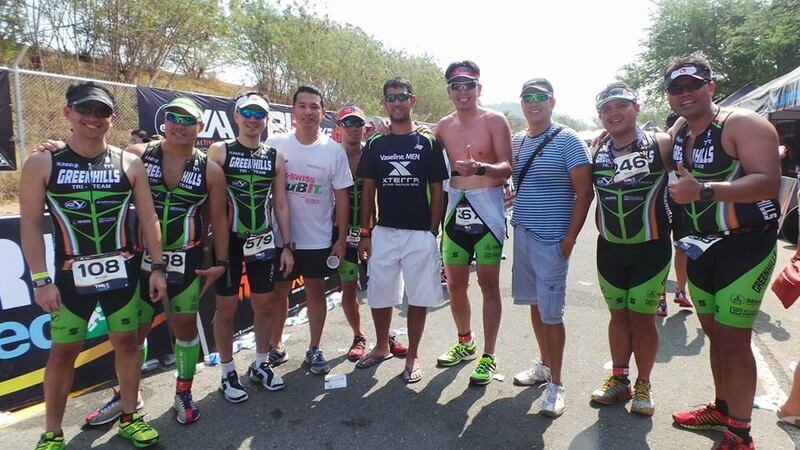 Mirasol Abad representing Sante Barley was instrumental in them winning the team event at Tri-United 1, 2014. Marisol’s pedal fell off her bike at about the 20km but she still finished the 40km distance despite this adversity. Giving up was not an option for this Filipino elite. Marisol is elite in every sense of the word as her guts and determination add fuel to our team. In adversity your true character shines through. This Ironman is a character and really a person to be admired. 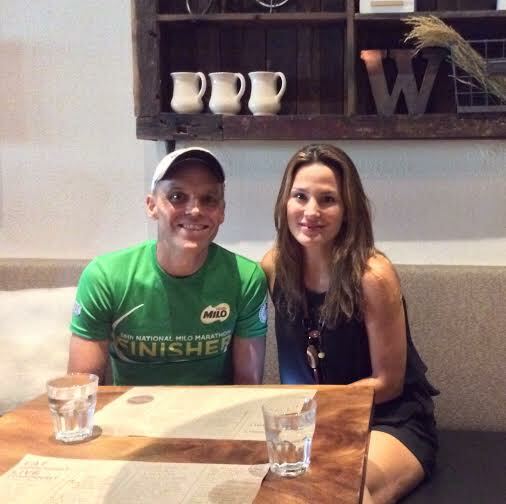 He has overcome the adversity of a nasty biking accident and during the Century Tuna Asian Duathlon Championships in 2012 he gave up his spare tyre kit for teammate Rune Stroem when he would have had to did-not-finish otherwise. It didn't matter to Anthony that by doing so he gave up his chance to be on the podium (he came in 5th). Little acts of heroism have big consequences that often go un-noticed. Picture on left with Anthony Welsh, Itong Torres, Ernie Lopez, Rick Yupangco and Christopher Po. Picture on right of Polo tri-team at Subic Bay, Olongapo with Ching Arguelles (of Alaska Milk Corp) with Ernie Lopez, Albert Altura, Deb Yab, Anthony Welsh and Peter Yabut. Sometimes it is just finishing that makes you a hero. Thomas wanted to give up, he should have given up, but because he is a champ he kept going despite his incredibly sore back. Amazingly he won first place for that Tri-United 2 race. It didn’t matter though, just finishing made him a winner in my eyes. So, Who Is Your Hero? I am not a hero, but when I see these other inspirational people I want to be one one day. Please share with us the ones who inspire you and are your heroes. Remember, they don’t have to be sporting heroes. I know that Chef Cyrille is an inspirational hero to many chefs and aspiring chefs. Please share those who are truly selfless, caring and inspirational in their field.